Audio-Technica ES945 low-profile omnidirectional condenser boundary microphone is designed for clear, highly intelligible sound reinforcement, professional recording and teleconferencing in table-, ceiling-, or panel-mount applications. 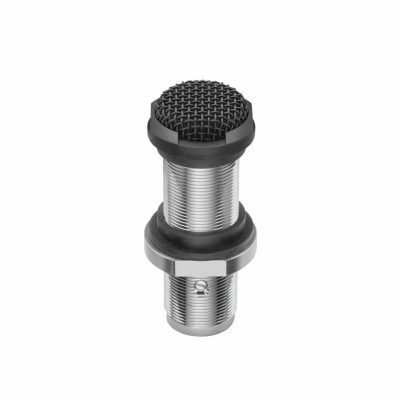 The Audio-Technica ES945 microphone is equipped with a self-contained power module with an XLRM-type output connector, eliminating the need for an external power module. The microphone offers unsurpassed immunity from radio frequency interference thanks to Audio-Technica’s UniGuard® innovations. 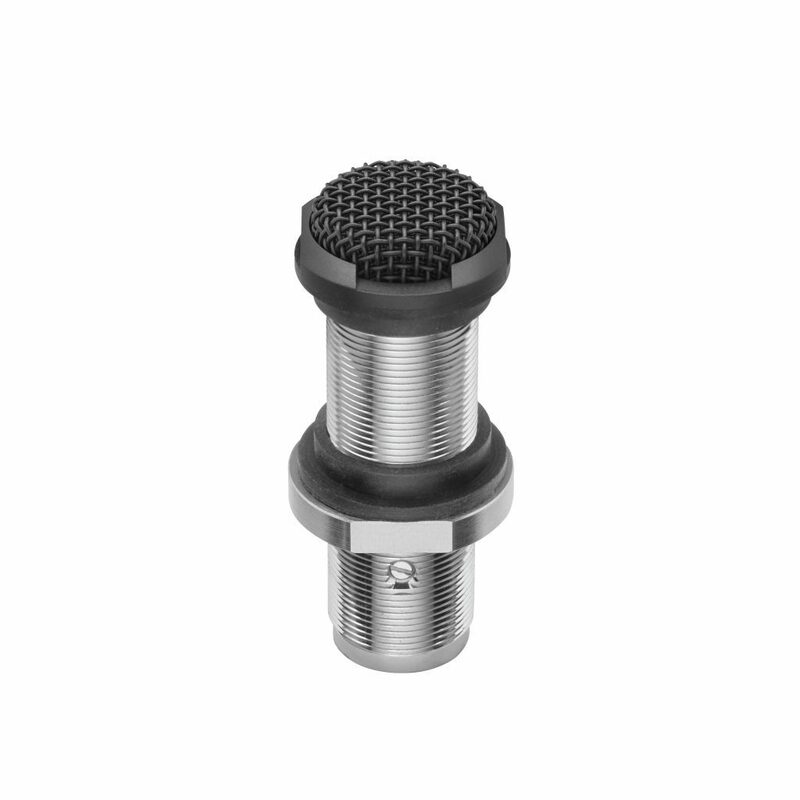 Protected by a rugged all-metal case with a two-layer steel mesh grille, the microphone has a 360° pickup angle, and is available in two colors: black (ES945) and white (ES945W).